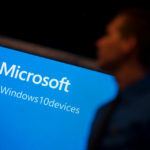 With the launch of Windows 10, it seems that there was a launch of some troubles as well. One such infamous trouble seems to be typical where you can’t adjust screen resolution in Windows 10. 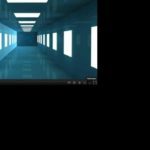 The screen freezes at some basic resolution and hence you cannot adjust the screen resolution of your desktop. When you try to change it by going to settings menu it will become greyed out. 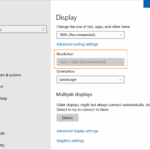 Well, to have a good display experience it becomes quite necessary to change the screen size or resolution on Windows 10 PC. 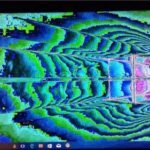 So if you are looking for a solution to this quest of fixing the screen resolution in Windows 10 PC then you have landed on the right page. 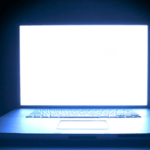 The main cause of this issue is the incompatible or outdated Display Drivers. 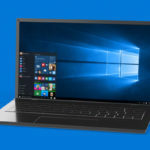 They seem to conflict with Windows 10 and hence create the problem. 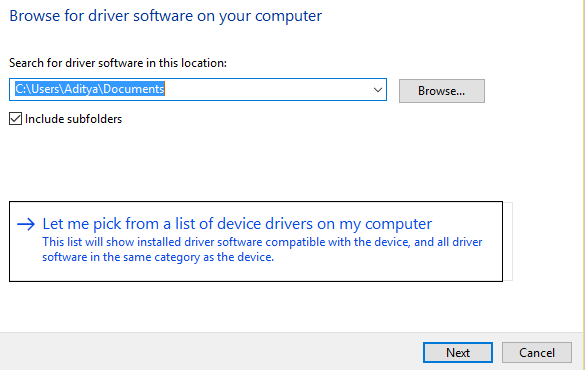 Also if some drivers are missing in your PC after when you have updated from older to the latest version then also the problem might occur. 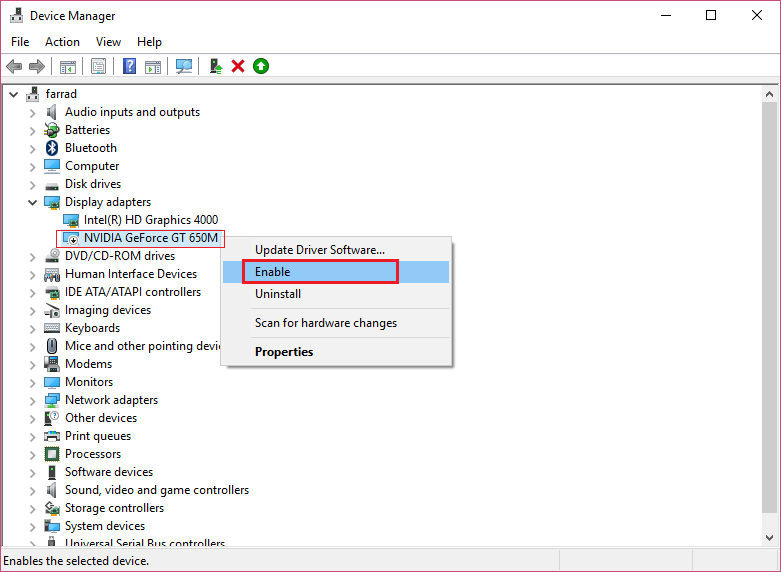 Since the problem is solely associated with drivers, therefore, the first you should try is updating the display drivers. 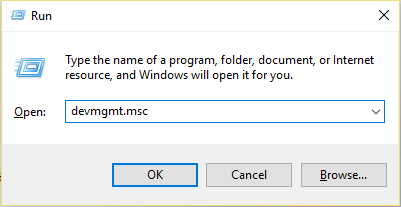 Step 1- Open Run > type “devmgmt.msc” > Enter. 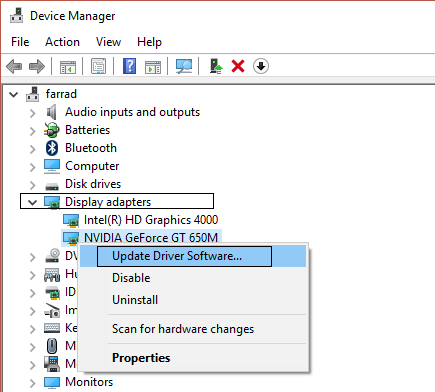 Step 3- Expand Display adapters > right-click on the NVIDIA Graphic Card > Enable. 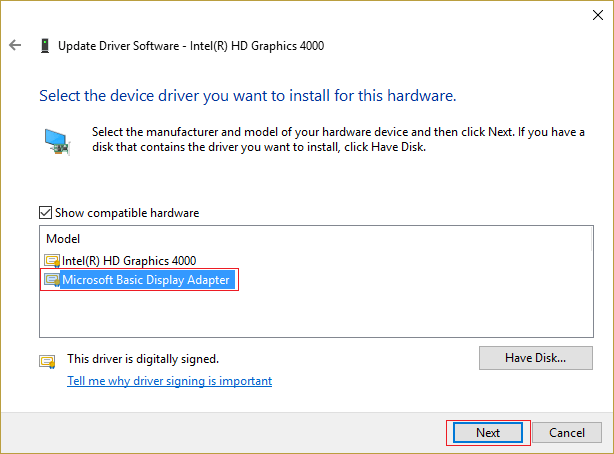 Step 4- Right click graphics driver > Update Driver Software. 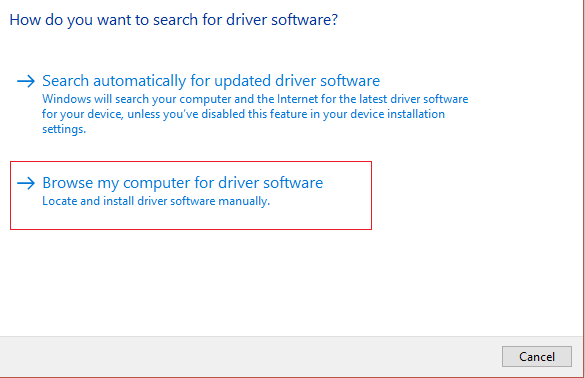 Step 5- Search automatically >“Browse my computer for driver software. Step 7- Choose option Let me pick from a list. 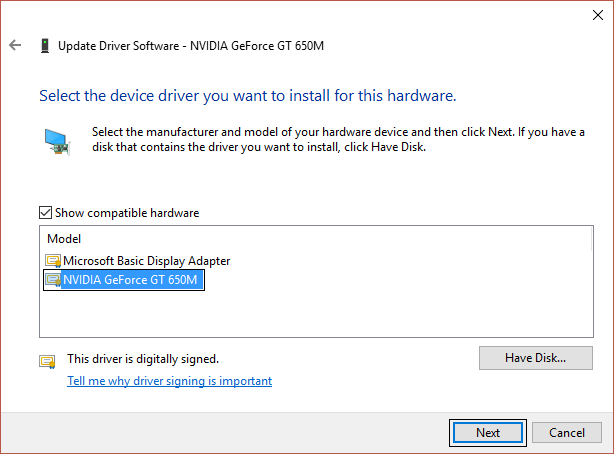 Step 8- Select the compatible driver > Next. 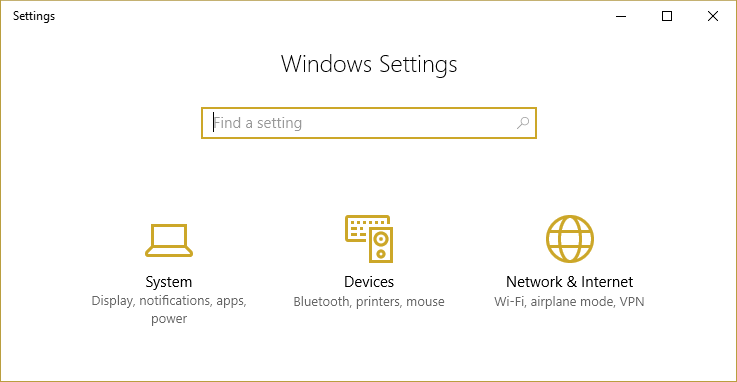 Step 1- Open Windows Settings > Update & Security. Step 2- Check for Update > make sure that all updates are installed. Step 1- Right-click on the graphics card driver setup file > Properties. 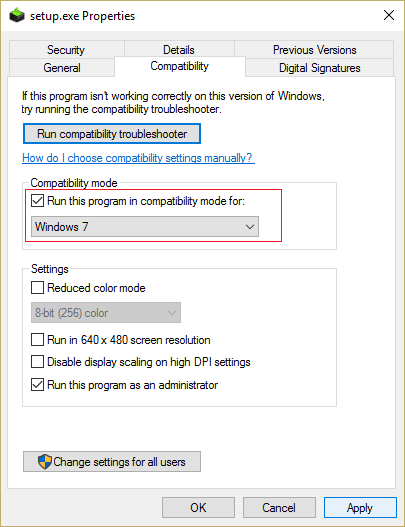 Step 2- Go to Compatibility > Run this program in compatibility mode for. Step 3- Select Windows 7 or Windows 8. Step 4- Apply > Ok. Step 5- Right-click on the setup file > Run as administrator. Step 7- Open Settings > System. 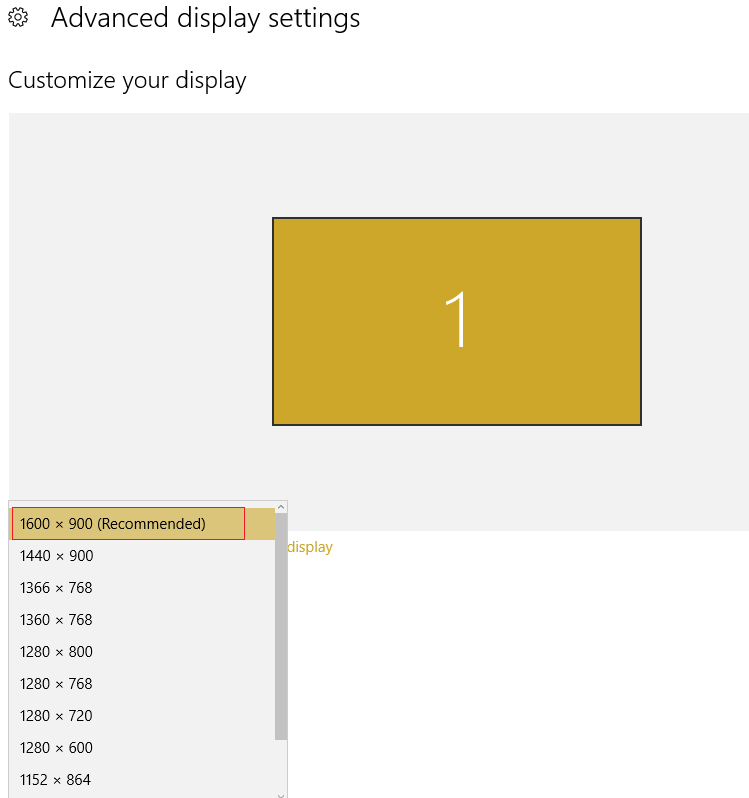 Step 8- Click on the advanced display settings. Step 9- Click on the recommended value. 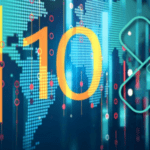 Step 10- Click on Apply > Reboot. Step 1- Open Run and type devmgmt.msc. Step 2- Now follow the same steps to select and update drives as Method 1. 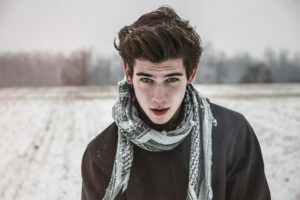 Comment and share this article if your error is fixed or share your issue here.